It takes only a few weeks for a cigar to become dry in adverse conditions, but it takes a few months to restore them. And although dry cigars could be brought back to an acceptable smoking condition, they will probably never be as good as they originally were. So an ounce of prevention is worth a pound of cure. Don’t let a good cigar go bad. Read up on humidors and storage options on this website. 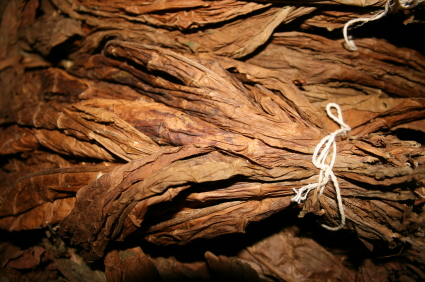 There are several ways of treating dry cigars, depending on their condition. If a cigar has become dry and the wrapper has not cracked and unraveled, then it can be restored. But this must be done slowly and patiently. If the wrapper has actually broken, then the cigar should be discarded. And if it has completely dried out, it will fall apart between your fingers regardless of how gentle and careful you are, so restoration would be impossible. In 4-6 days, you can remove the cigars from their box and expose them to the full humidity of the humidor. To combat small water bubbles that may appear under the wrapper, rotate the cigars a quarter-turn every 2 days. Continue this process for as long as necessary – possibly up to three weeks. When the wrappers look even and the body feels smooth, and when there is only a gentle crackling sound when you press your cigars between your fingers, it’s time to return your cigars to their original box. After treatment it is best to let cigars rest for 6-12 months to allow the three components (filler, binder and wrapper) to re-equilibrate before smoking. Just check on their condition every three months. Quick tip: For cigars that aren’t too dried-out, restoration can sometimes be achieved by simply wrapping the closed box in a damp (not wet) towel for about two weeks. Will an unopened box or bundle of cigars last a few days out of a humidor ? If not how can i make them last until my humidor arrives ? Keep them in the box until the humidor arrives will be fine. You don’t have to worry about keeping the box unopened (who wants to wait for their humidor and not get to have a stick?!). I was wondering how to flavor my own cigars? I’m a budget smoker so I’ve been buying cheap bundles of sticks (50 for $30). I love a nice flavored cigar but to be able to smoke one on a very regular basis has so far been cost prohibitive. I’ll take about 2/3 of the bundleand completely soaking them in Rum or Conac. I’ll dry them by putting them on a cookie sheet in an open oven on warm for about 20 minutes. I’ll put them in a baggie for a week or two and let them sweat some and when they feel right I’ll begin to smoke them. They look like hell, all blotchy and dark but the flavor is great. I was wondering if there is a better way to do this which does not leave them looking so damm ugly. I use another method if you want to hear about it. Hello Sanford, you are on the right track. At this point I am going to guess that you REALLY like the flavoring since you actually soak the cigars. 1. Don’t let the Rum or Conac come in direct contact with the cigar. Aside from having visions of cigars in your oven going up in flames 🙂 I think that is not helping you during your rapid drying technique. 2. Ditch the oven. Think Patience. Unless you are living south of the equator, they should dry out in a couple ways. If you have a humidor, great – throw them in there without any water. OR – Try going to your local wine shop and ask them for an old wooden wine box. It won’t be perfectly sealed but the wood will take the moisture out of the cigars. Both of the above should get you closer to a “pretty” cigar. I found some cigars in my golf bag all dried out. Now they are almost as good as new. Thanks Godfather!